Quantum-Consciousness » Supporting Tools » Holistic Health/Healing » Super Busy? Plug-and-Play Meditations :: Plus a Giveaway! Super Busy? Plug-and-Play Meditations :: Plus a Giveaway! Have you ever wanted to meditate but find yourself conflicted because you just can’t find the time? Even though you know that if you could find the time, your inner peace and outer productivity would improve? Well, now you can get the benefits of meditating even if you are busy. My friend Angela Artemis and her business partner Steven Aitchison have just created an impressive system for doing just that. It’s called The ReAwakening Guided Meditation System. I asked Angela if she would talk with us about it. I wanted to know what makes this system different and how it’s customized to busy people. Here’s the audio of our interview (it’s about 17 min. long), or you can read the written version of it below. LsB: What was your motivation for creating this course, and what makes it different than what’s already out there about meditation? Steve and I are both long time meditators and I am a former meditation instructor so we both know the awesome benefits of meditating. It helps manage stress which leads to reducing illness and increases creativity, and productivity. Don’t feel they have the time to meditate. This leads to a feeling of overwhelm (more stress!) and inaction. That means you miss out on something so simple and easy to do that can totally transform your life for the better in every area of your life. This system is different because we deal with the objections right up front. We’ve created 10 easy to do daily meditations. The longest is about 12 minutes and the rest are under 10 minutes. You do one a day! That’s it. When you start feeling the relaxing benefits — which you will in a very short amount of time — you can do it 2x per day. LsB: I noticed some of your packages include bonuses. Can you tell us a little bit about them and what value they add? 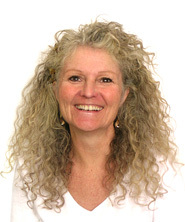 Peggy McColl is an internationally recognized expert in the areas of personal development, success and manifesting. 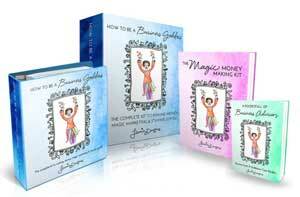 She goes into great detail to explain how to manifest all your desires. It’s a really fun and upbeat interview that will leave you inspired and motivated. The coach interviews cover many areas of techniques for achieving success in your life from well known experts in the blogosphere. Listen to the interviews to learn the many tips and tools these coaches use with their clients to help them become more productive and prosperous. The binaural beats meditations are short meditations designed to be watched and listened to with headphones on your computer. Just click on one and pop on your headphones to help you feel refreshed and reinvigorated throughout the day. If you work on a computer for long hours, these are for you! The meditation kit is an enormous bonus. This kit contains brain synchronized meditations to help you break bad habits, sleep fitfully throughout the night, increase your energy, defeat addictions, and enhance your creativity. Both Steven and I receive many emails from readers who say that although they want to meditate – they just don’t have the time. The busier and more stressed your life is the more you need to meditate and we are no exception. Many times when I’m rushed I’ve missed meditating in the morning but I really pay for it throughout the day by not feeling relaxed and calm. When we are too busy we feel so overwhelmed that we believe we cannot possibly fit one more thing into our busy lives, so we do for everyone else but ourselves! Everyone can find 10 minutes per day to meditate. And, when you do, you’ll find that this ten minutes helps you deal better with everything else that’s going on in your life. You’ll feel more relaxed and clear headed, which means that you will handle everything else better. As soon as we added the background music to the meditations we both began listening to them! I could feel my blood pressure dropping as I did. In fact, Steve created a “9 Minute Heart Rate Challenge” based on listening to the first of the meditations. Measure your heart rate before listening to the “Relaxation” meditation. Listen to the meditation which is approximately 9 minutes long. Afterward remeasure your heart rate. You’ll be pleasantly surprised to see how much your heart rate has slowed during those relaxing 9 minutes. Here’s the link to listen to the meditation and take the Heart Rate Challenge. That’s it! We designed this program to not only be affordable but to cover every area of life that can be improved with meditation. You simply have to experience it to see how miraculous it is. To find out more about the ReAwakening sytem, or if you want to purchase it, you can do that here. Giveaway: The Complete ReAwakening System! Angela and Steven have kindly donated a complete copy of The ReAwakening to Lightspirited Being for one lucky winner of a giveaway contest. In what ways has meditation helped you? OR, if you’re not a meditator, how do you think it could? What about this particular system appeals to you? Please leave the comment by noon MDT next Monday, April 16. I’ll decide then who I think will be able to benefit the most. I’ll announce it here in this post, plus email the lucky winner. Thank you to all of you who entered. I loved reading your reasons for wanting this system, but then I wanted to give it to all of you! 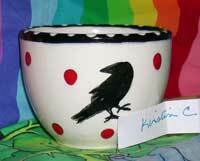 So, rather than choose, I blessed each of your entries as I placed them in my *magic* raven cup; asked the light to help me pick the “right” one, and voilà! Congratulations, Kirstin! May this do everything for you that you are hoping, and then some! • Go try the Heart Rate challenge. You’ll get one of my favorite guided meditations of the bunch (and it’s free). • Or check out the downloadable binaural beats I mentioned earlier, or try the isochronic beats I wrote about here. • And then, there’s always the option of buying The ReAwakening! Its soooo worth it! Thank you so much for the wonderful interview and for your support of the ReAwakening. You’re more than welcome, Angela, it was my pleasure. Thank YOU for creating such a fantastic package for people, and I wish you every success! Wow Angela- you are so thoughtful to figure this out for us! It is as if you were reading my mind, I have made this wish like 29 times in the last week! Now I know that there are others out there who need little mini meditations like me! Thank you too Patti, for being so supportive of my good friend Angela- and for getting this out to everybody! 1. I find that meditation helps me be a better person all around, but mostly a better parent. Tuning into what the light is offering me is a given right- I believe. 2. This program seems to have been written for me! lol I have needed a source of light that had structure to it, that would give me a short cut I guess, so I could be able to clear my mind and get centered again! It really is a great package and I wish you luck in winning. You’re well on your way. 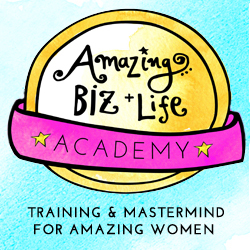 Wow – what a great opportunity for those of us who struggle to fit meditation into our day! I finally got into a habit of meditating (almost) every morning – but I usually only have time for 10 or 15 minutes. Here’s my answers. 1) Since starting my meditation practice I’ve noticed some deep and profound shifts in my creativity and inspiration. I am also less anxious and more likely to practice the habits I want. 2) This program appeals to me because I found I like to have audio to accompany my meditations but have not found many that are short enough for my time frame. I don’t like setting a timer to go off partway through a 30-minute audio meditation. I would LOVE to try these! Hi Sarah! Ah, yes, am I remembering right that you did a 30-day meditation challenge recently? In any case, I have to agree, and I’m surprised just how beneficial even 10 or 15 min./day can be. So glad you entered. Good luck! I gave this post a shout out on fb and I hope that my readers come on over to hear the interview and enter the giveaway! I never liked guided meditations as meditations but that Angela … she did somethin’ super special here. I bet it would be just perfect for you right now. Thanks, too for posting to FB. Warms my soul, truly. Oh, this is awesome! I really would love to give this product a try. To be honest, I’m not the best self meditator – I always do better with guided meditations, so I’d LOVE to give this a try. When I do meditate, it helps me center and calm myself, and almost ALWAYS opens up space for my guides & angels to get in touch. 🙂 I often find I’m “too busy” so these would be PERFECT for me! PS – I posted this on my Facebook! So funny, I’ve never done well w/guided meditations, but these are really good ones, and the selection is great. I bet you’d love ’em. Thanks for entering, I’ve got you “IN”. Good luck! 1. Meditation…got me through some very difficult times in my life. I’ve been at sea lately because my old techniques don’t seem apposite to where I am right now. I’ve been floundering a bit around this. 2. This program appeals to me for a few reasons: it will be very easy to fit into my life, and I like the directed element of it. Also, I took the heart rate challenge and was impressed! Thanks for coming by and for doing the challenge — AND for telling us your experience with it! Glad you entered, you’re IN. Good luck! Over the past 4 years I have dabbled in meditation and believe in its’ power. Last month I met with an intuitive and he was spot on when he said I am always stuck in “mommyhood” and my soul is aching to find itself again. I am really trying to bring more to my soul. 1. Meditation has helped me calm my mind. 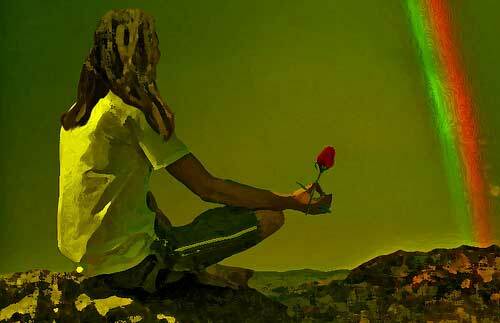 But, I have never really found a system or such that has been able to help me fully benefit from meditation. I strongly believe that through meditation I will be able to calm myself, reconnect with my entire being, and become a better mother and member of this world to help others along their life path. 2. I am an at home parent of two amazing children. I handle all the house cleaning, yard work, errands, appointments, and such. I am on the board for the high school lacrosse club. Well – I am always going. I think this system will help me start to learn how to slow down. This system will help me learn how to integrate meditation into my life. Welcome! I’m so glad you discovered this system because, frankly, it sounds like you could really use it! 😉 And I think you’re right, I bet this system is especially good at helping integrate meditation into a busy life and establish it as a habit, and that’s half (if not more) of the battle. Thanks for your really thoughtful comment, and good luck in the contest! I love the post now that I took a moment to sit down and read it! 😉 It seems that I am too busy even for that and that tells me that I really need to do some of the meditations that Angela talks about! 1.) I’m not a meditator myself yet I’m very good at relaxing other people. It seems I need help to relax too and this system with different meditations and investing just 10 minutes of my day sounds like it can help me achieve my goal of becoming one. 2.) I like that the system says it will help change bad habits insidiously so that it isn’t like I have to effort and work at something else in my life but instead positive shifts begin to happen automatically by listening to the meditations. LOL, so true, you have to take the time to read a post about slowing down, don’t you?! You’re so right! In a way, this is similar to or reminds me of your deeply relaxing Yoga Nidra CDs! And I really like your 2nd point. So true. Thanks, Debbie, and good luck! I love this program Patti! 1. Meditation calms me. Period. With my hyperactivity that’s a freakin’ miracle! 2. I like that it is guided meditation and both Steve’s voice and Angela’s voice are appealing to me. Yes, I’m sure you’re familiar with the program already. Thanks for the good word! I agree about the voices. Angela’s is sooo soothing, she’s so good at this. And I found Steven to be charming and it was fun hearing him — I don’t think I had, before. I’ll enter you in the contest — good luck! I enjoy all types of meditation and feel better physically and mentally when I make the time to meditate on a regular basis. I especially enjoy guided meditations because they keep my mind from falling back into “racing thoughts” mode. My problem is finding enough time (making enough time?) to spend 30-60 minutes alone in silence. That’s why I find the ReAwakening system appealing! The thought of spending just 10 minutes a day to improve my well being is very intriguing. Thanks for sharing information about this meditation program! Thanks for coming by, and I know you (and everyone commenting, probably) are busy so I especially appreciate it! 😉 But you’re wise to enter this contest — it sounds like it might be perfect for you. I was “trained” to meditate for a good chunk of time too. But I’m now of the mind that 10-15 min. is better than nothing, and I notice that it’s really helpful. Plus, as to your first point, these are really good guided meditations and it’s a treat to stay focused on them. I really like this program Patti. As a single mother of two young children I am trying to find the time for meditation and reflection. With all of the changes in our family the past year finding peace will also help my kids. I love the guided meditations, since I am still a rookie, these help lead me and keep me focused. I’ll enter you in the contest. Good luck! Hey Patti, Did you choose a winner yet? I’m so curious because I’d really like to try these out! Oddly, though, now that you mention it, I haven’t heard back from her. I’m going to see if she claimed her prize. If she’s not interested, I’m going to re-draw. (But please don’t hold your breath.) Thanks again for entering!! Yes Patti, I realized right after I left that comment that the winner had indeed been picked. I should’ve checked back and read the blog updates! ‘m glad you got a hold of the winner. Meanwhile, I am going to check out some of these free binarual beat audios you recommend. Great! And I goofed — the link in this post to my previous post about binaurals is REALLY to the one about isochronic beats! Both are good tho, and they each link to each other so I’m sure you’ll figure it out. [OK, I just fixed ’em, so now you can get really confused. :-b] But the binaural beats one gives some basics about brain entrainment (which both of these beats accomplish) so that’s the best to start with. Have fun with them, and I’d love a report (of course)!